Amazon’s popularity has skyrocketed and millions of people from all over the world consider it as a viable platform on which they can sell their products. Most sellers actually send their goods from China to one of Amazon’s centers in the US. On the other hand, there are also people that want to ship from China so that they can eventually open their own store business or warehouse. Regardless of which Amazon FBA you’d like to ship your goods, we can help you. 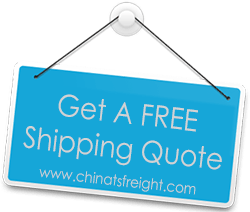 China TS Freight is able to ship your goods to almost any location around the world, including the US, France, Germany, Japan, Australia, the UK and more. Thanks to our professional team of logistic experts, you’ll find that shipping your goods from China to Amazon FBA is going to be a breeze. Rest assured, since if you’ve never done this before, we’re here to help you. We can take care of each and every aspect of the shipping process, including collecting the goods, clearing customs and contacting Amazon so the goods can be shipped and deposited safely in their warehouses. Whether you plan on shipping large shipments, small parcels or have something shipped urgently, we’re more than happy to help you. We have a variety of shipping options you can choose from, based on your budget and specific needs. Have the peace of mind your Amazon store is running smooth with our professional services. If you plan on sending inventory to Amazon, then the first thing you need to do is create a shipping plan. What is a shipping plan? Well, it’s basically a list of products that the Amazon fulfillment centers need in order to be able to process your goods. In order to send your products to Amazon’s warehouses, you need to log into your Amazon.com account and then go to the tools menu. There you’ll be able to customize the shipping method you want to use to send the products, the quantity of each product, the products you’d like to send, whether you’d like to have Amazon prepare and label your inventory or whether you want to do it yourself, and more. If you take a closer look at the shipment creation tools, you’ll realize they can also help you prepare your products for shipping. On top of that, you can use these tools in order to get printable shipping and product labels. After creating your shipping plan, you can prepare and pack your products so that you have them shipped to Amazon’s fulfillment center. It’s important to note that you can break a shipping plan into several shipments that may be delivered to different Amazon fulfillment centers. By doing so, you’ll be able to have your products closer (geographically speaking) to your buyers. As a result, Amazon can process and ship them faster, resulting in happier customers.